Rapid rise in piston temperature = piston thermal expansion resulting in piston scuffing in cylinder bore. Do you know how to shut-down the pregnition? The pilot has 1-5 minutes to shut down the preignition until the following happens. Detonation. 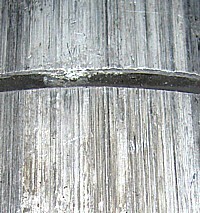 Detonation scoures the protective layer of insulating air that separates the hot gasses from the aluminum piston surface. 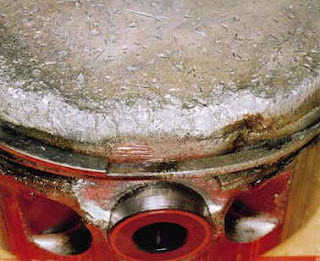 Remember EGT can be 1,600 degrees F. and aluminum melts at 1,200 degrees F.
CHT on one cylinder goes to red line; the engine ran smoothly throughout; less than 5 minutes. Think about this -- would you notice this? Not if you didn't have a CHT probe for each cylinder; not likely if you were busy flying; Luckily, in our description above, the pilot noticed the rapid rise in CHT and reduced power. Unfortunately, he did not know what was happening inside his engine to prevent it from happening again and want back for a second helping. I have seen the engine monitor graphs of preignition and they are scary -- everything is normal and then out of the blue one cylinder head temperature heads up at a 45 degree angle on the chart. From 300 to 450 in 1-2 minutes from the charts I've seen. 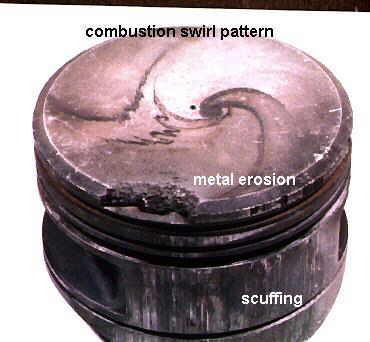 Once the hole is breached in the piston then combustion gas blows into the crankcase and this blows the oil out the breather. You can't stop it from happening without shutting down the engine. 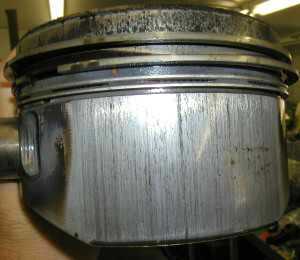 Once the oil is blown overboard then this happens. The connecting rod bearing starves of oil and it breaks off; usually by flinging itself through the crankcase. Preignition is dangerous, scary and something that you as a pilot should avoid at all costs. So how do you avoid preignition. Operate within the ENGINE MANUFACTURER'S operating envelope. Do you even know where to find this? 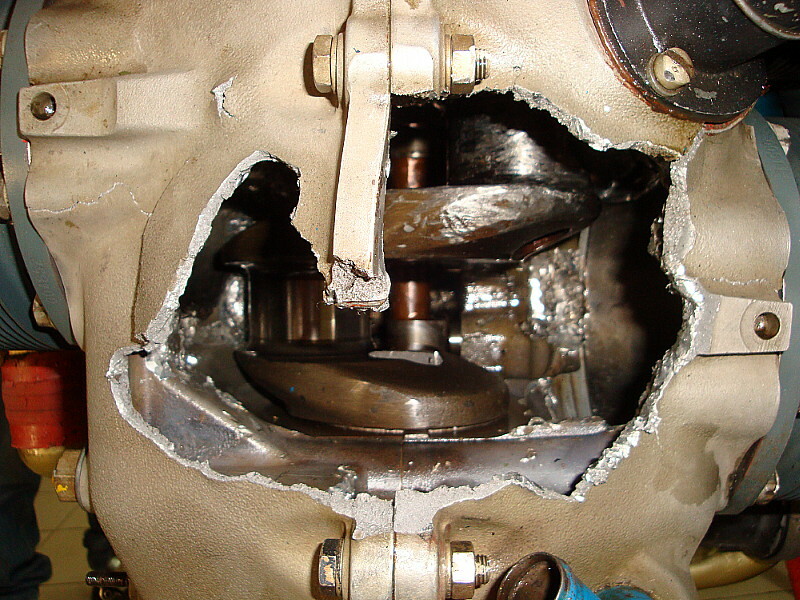 If the engine manufacturer's operating envelope does not allow lean of peak then don't go there. Simple isn't it. Just maintain and operate according to how the engineers designed your engine.
" If the engine manufacturer's operating envelope does not allow lean of peak then don't go there"
This statement seems to be a bit outdated, based on today's science, there hundreds of engines being operated successfully LOP. Lycoming and Continental have actually changed their opinion on this subject. The information is anything but outdated.